Paddyfest at Eagle Farm Racecourse offers a full day of entertainment which will include indie rock four piece Kingswood, Brisbane-based Tullamore Tree, Tartan Shamrock who go between traditional Irish and classic Aussie rock, singer-songwriter Shanon Watkins, City of Brisbane Pipe Band, Walker’s Irish Dancers and Leprechaun DJ. The programme will also include entertainment for kids of all ages, including a petting zoo, and at 7pm, the festival will wow with a big Irish themed laser, lights and live DJ spectacular. This epic show will be a huge hit with the kids so be sure to stick around for the show! 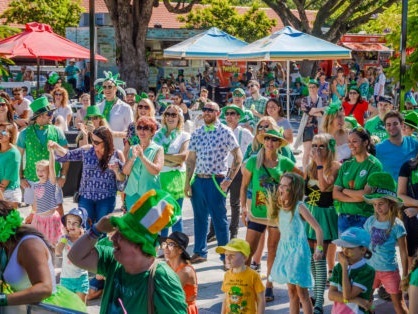 The Brisbane Irish Festival is a long-standing annual event that promotes and celebrates the occasion of St Patrick’s Day, Irish culture and its contribution to the state of Queensland. 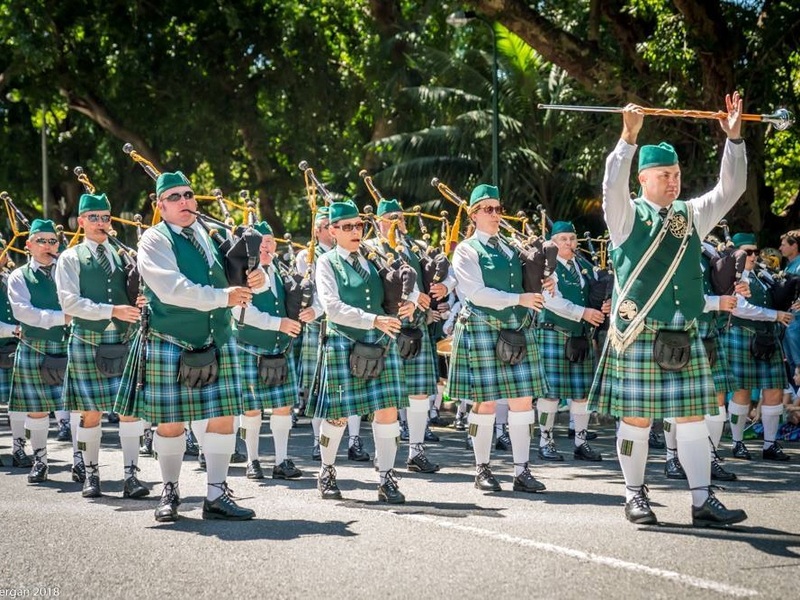 The Irish will march through Brisbane city for the 30th time this year with their parade that begins and ends outside the Botanic Gardens. The parade starts at 10:30am but there will be stalls and entertainment both before as people congregate and afterwards when everyone returns after the parade. Please join us for our 2018 Brisbane Christmas Networking Drinks at the beautiful Blackbird Bar, Brisbane. Ticket details and booking forms on the website. With a remarkable resemblance to Luke Kelly and an immense singing talent that captures the depth and passion of the great man, Chris Kavanagh brings this striking show to Australia. In 2018 we will celebrate our 30th birthday. This is a special celebration for all involved. We would love to see you all there to help the Queensland Rose raise a glass to a wonderful festival and celebration of Irish women all around the world. Starting at 4.15am, and crossing the line as dawn is breaking, Darkness into Light, is an annual 5km walk/run held across 150 venues worldwide on 4 continents. Launched by Pieta House in Ireland to raise awareness of Suicide and Self Harm, this event grows each year and extends to include our gorgeous city of Brisbane. “Brisbane Connections” is a series of informal networking events for members of the Irish Australian Chamber of Commerce. 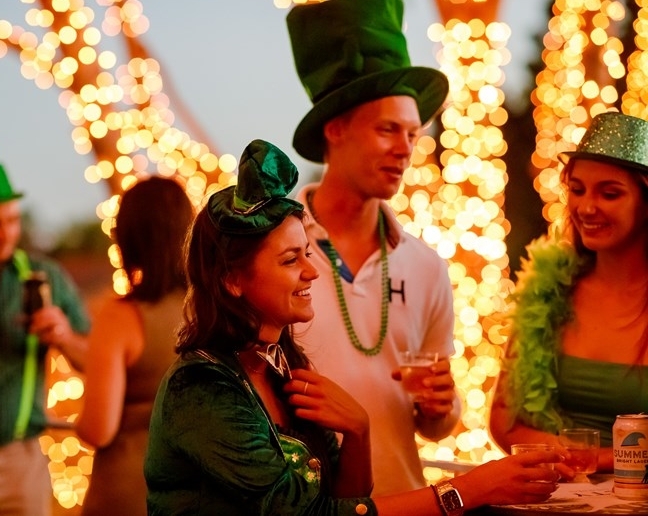 Brisbane is launching its largest St Patrick’s Day Festival on Saturday March 17 with Paddyfest at the Eagle Farm Racecourse! The inaugural event expects to draw in crowds of over 5,000 and is primed to deliver a celebration worthy of an Irish jig, including headlining acts from Irish stand-up comedian Jimeoin, pipe bands, traditional Irish dancers and more. In a celebration of culture and entertainment, Paddyfest will also play host to some of Brisbane's favourite food trucks and iconic Irish beverages. There will be a number of food and fashion competitions, as well as a Kids Zone featuring free rides, face painting and craft zones. Witness the celebrated concert soprano Maggie Noonan and her ARIA award-winning son Tyrone in this special St Patrick’s Day tribute. This exceptional concert will feature beautiful classic Irish ballads. This event is a part of the Lord Mayor's City Hall Concerts program. Entry is free. No bookings required. A black-tie affair at the Hilton Hotel, Brisbane. The night will consist of a three course meal, drinks, Irish dancers and entertainment as we kick off Paddy’s week in style. Punk Legends STIFF LITTLE FINGERS 40th Anniversary Australian Tour! Expect all the SLF anthems – “Alternative Ulster”, “Suspect Device”, “Wasted Life”, “Tin Soldiers”, “Nobodys Hero”, “Johnny Was”, “Barbed Wire Love” plus More! A celebration of real Punk you don’t want to miss!